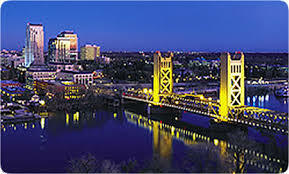 Sacramento sits at the apex of a stunning, varied region of Northern California. The city’s beautiful landscape, stable growth and strong community have made it a great place to raise a family, find employment or start a business. A DiSC Profile is an essential tool for Sacramento residents, visitors, students and more. The story of Sacramento starts with Sutter’s Fort, which protected a settlement in the present-day city vicinity. During the California Gold Rush, Sacramento served as a major cultural and commerce center for miners, prospectors and businessmen. This frontier spirit and can-do attitude continues into the 21st century. And just as Sacramento was once the epicenter of the Gold Rush, DiSC® Profiles in Sacramento are the gold standard of behavioral evaluation. Cal State University-Sacramento and National University, the 2nd largest private, non-profit educational establishment in the state of California. DiSC Profile Information offers unique insight into individual communication, group dynamics and leadership characteristics in Sacramento – all essential attributes for a well-rounded academic life. Professors and students (undergraduate and post-graduate) have used a DiSC Personality Test to gain a better understanding of their personal and professional relationships. With a sizable population – Sacramento is the 6th largest California city – and well-educated residents, the region is home to major corporations, including Blue Diamond Growers, The McClatchy Company and Sutter Health. Sacramento’s economy features high-performing companies in agriculture, telecommunications, finance, commerce and other sectors. Intesi! Resources has topic or application specific DiSC Profile Tests for different professions, all prominent within Sacramento’s business environment: sales, management and general workers. Intesi! Resources is an Everything DiSC Wiley Authorized Partner, which means our DiSC Profile Tests come with traditional pedigree and modern convenience – many of our assessments in Sacramento are available in a flexible online format (including all 5 of our Everything DiSC Profiles). Our popular DiSC Profiles in Sacramento are especially useful for individual job hunters, those companies looking for ways to properly companies looking for ways to properly recruit – hire - promote, improving workplace leadership skills and much more. For a more robust assessment experience, Intesi! Resources offers an internet-based EPIC Account, which organizations use to effectively manage their unique testing needs. A DiSC Personality Test is great for employees, students and companies in Sacramento and throughout Central and Northern California. Since behavioral attributes are such a dynamic part of character profiles, a DiSC Personality Test in Sacramento is a great tool for anyone looking to gain a better grasp of their personality, habits and experience. DiSC Profile Information measures the four crucial elements of a total behavioral profile: Dominance, Influence, Steadiness and Conscientiousness. Plus, the personalized results are available immediately; anyone taking our assessments can instantly apply what they’ve learned to their particular situations. A DiSC Profile can improve motivational techniques, optimize customer satisfaction and even build lasting business relationships for Sacramento residents. And since a DiSC Profile is so versatile, it can be applied to a near-endless array of Sacramento social situations – student life, professional settings, daily interaction and more. Would you like to learn more about your (or your company’s) behavioral characteristics? Just give us a call at 866-3INTESI (866-346-8374). We also have a user-friendly message portal on our contact page. Thanks for your interest in Intesi! Resources and our exclusive DiSC Profile. Contact us today and discover our superior behavioral assessments. Our DiSC Personality tests can be used for Sacramento, Northern California and other regions.